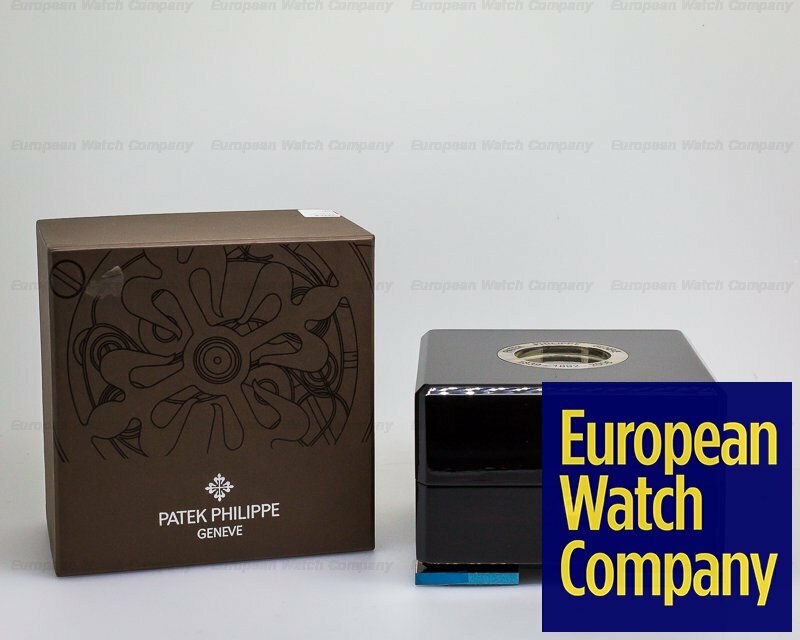 28637 Patek Philippe 5565 Calatrava Limited Edition, 5565A-001, 5565A001, limited edition of 300 pieces commemorating the opening of the Geneva Boutique, stainless steel on a strap with a stainless steel buckle, manual wind movement, 45 hours power reserve, small seconds at 6 O'clock, two tone silver dial, sapphire crystal, water resistant to 30 Meters, diameter: 36mm, thickness: 7mm, Like New with original commemorative box, 5565 commemorative catalog, commemorative coin, booklets and original certificate. 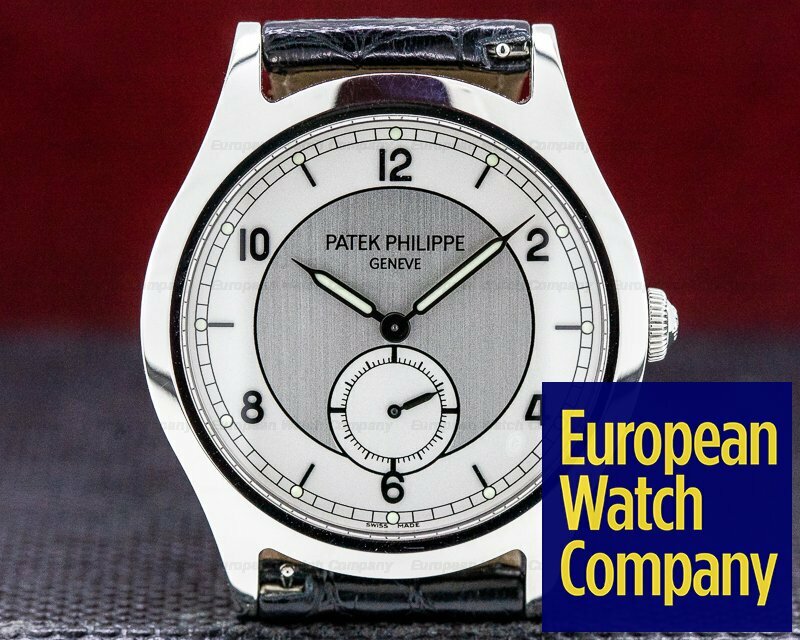 This is a stainless steel Patek Philippe Calatrava Limited Edition 5565. 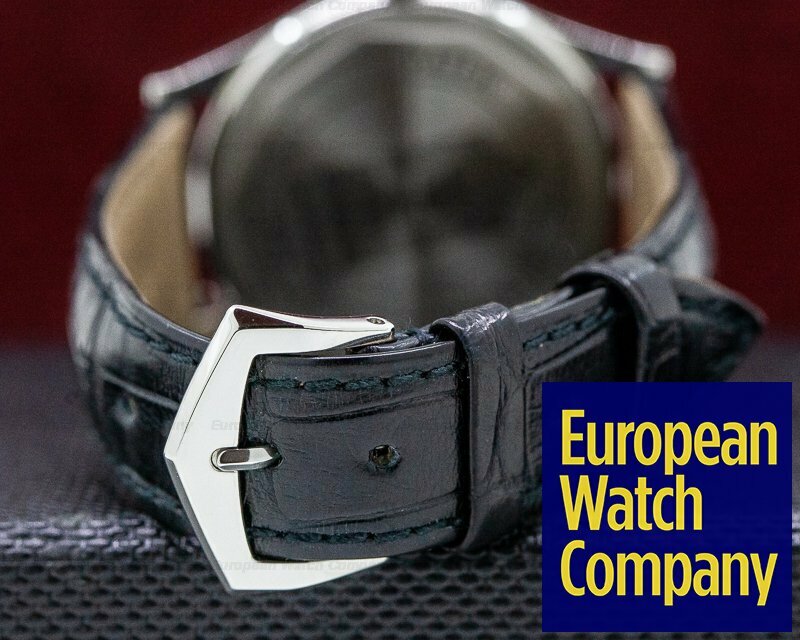 It has an alligator leather strap with a matching stainless steel buckle, and a scratch resistant sapphire crystal. 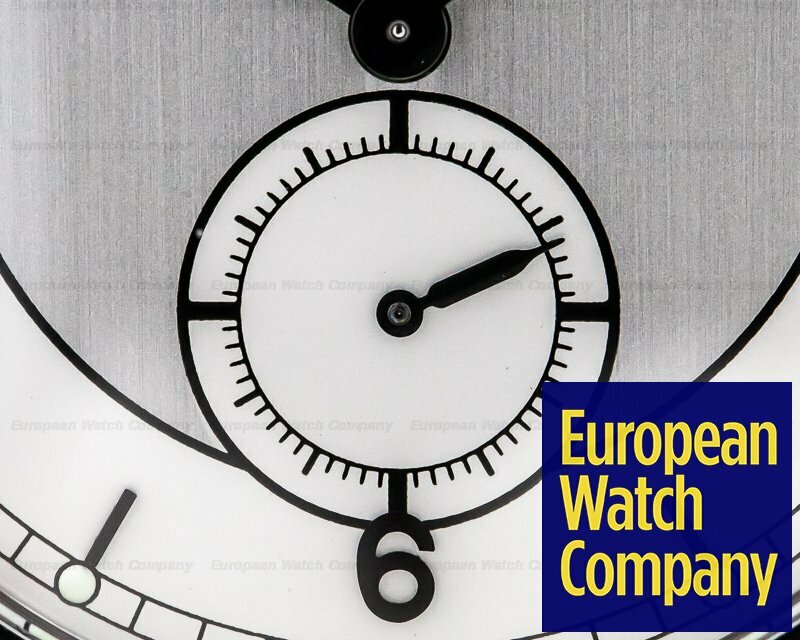 The dial is two-tone silver with applied black Arabic numerals and minute indexes around an perimeter railway-style minute scale, with luminous dot hour markers and baton hands with black needle tips. 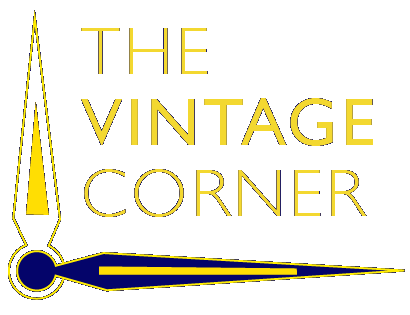 The subsidiary small seconds dial is at 6 o'clock. The 36mm diameter two-body solid case, downturn lugs, and flat bezel are polished/brushed. 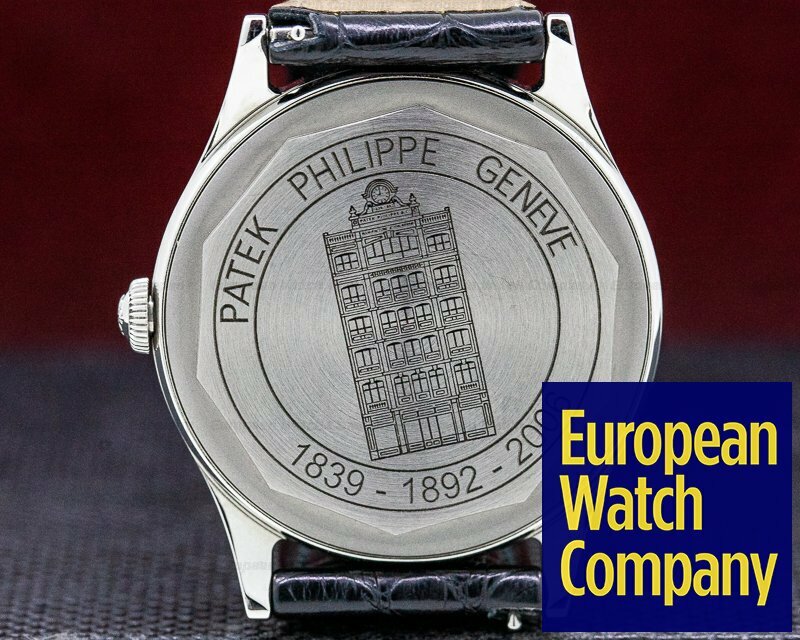 There is a screwed-down case back with special engraving of the Geneva Patek Philippe boutique. 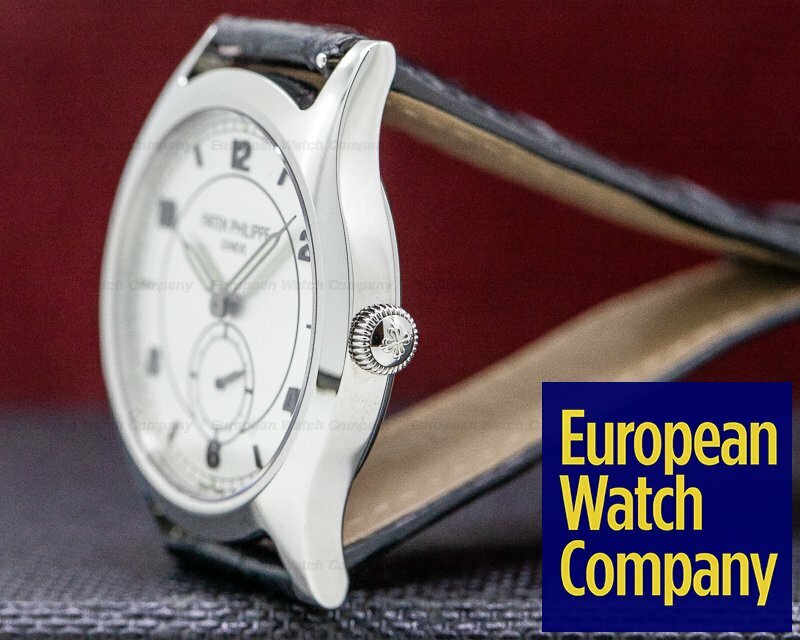 It's water resistant to 30 meters, and it has a 45-hour power reserve at full wind. The 7mm thick case, dial, and movement are all signed. 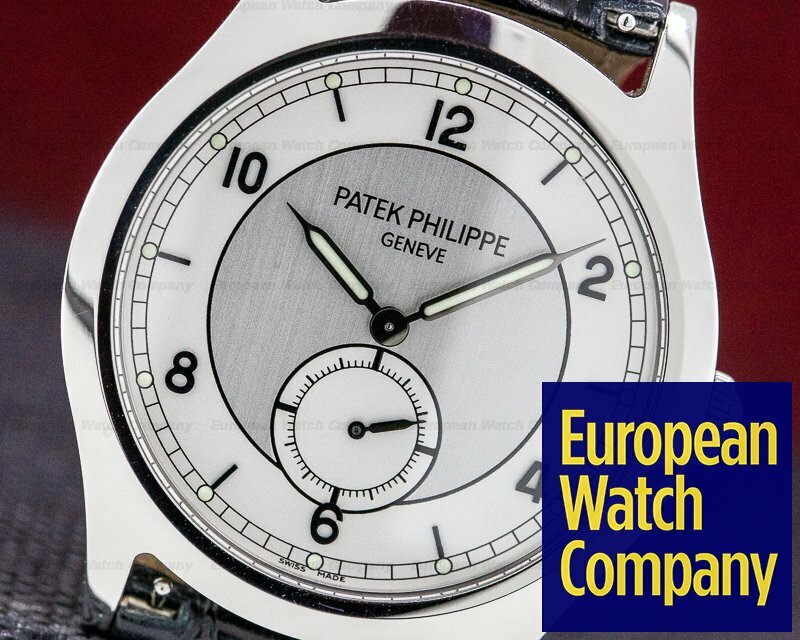 This Patek Philippe Calatrava Limited Edition 5565 has a mechanical manual winding calibre 215 movement. 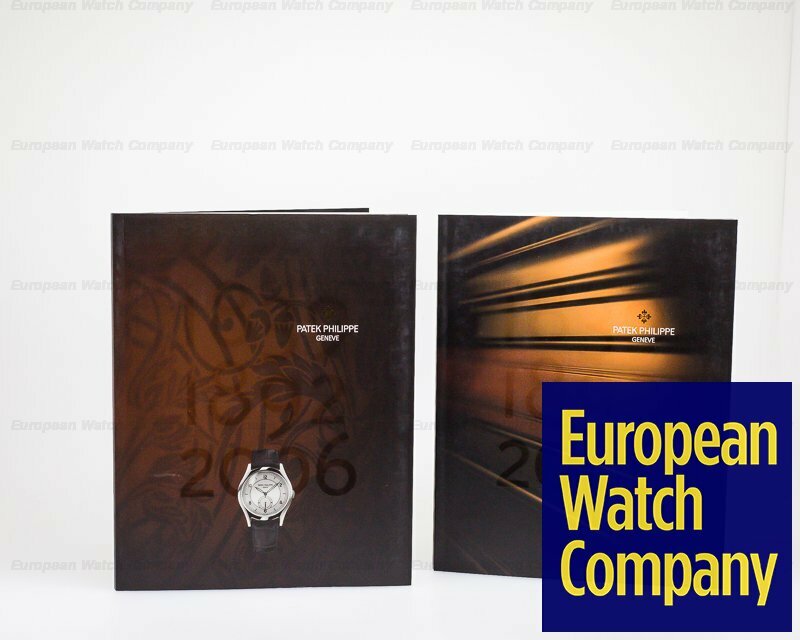 It's rhodium-plated with fausses cotes embellishment, and the Patek Philippe quality stamp. It's constructed with 18 jewels, a shock absorber mechanism, a straight-line lever escapement, and a self-compensating flat balance spring. 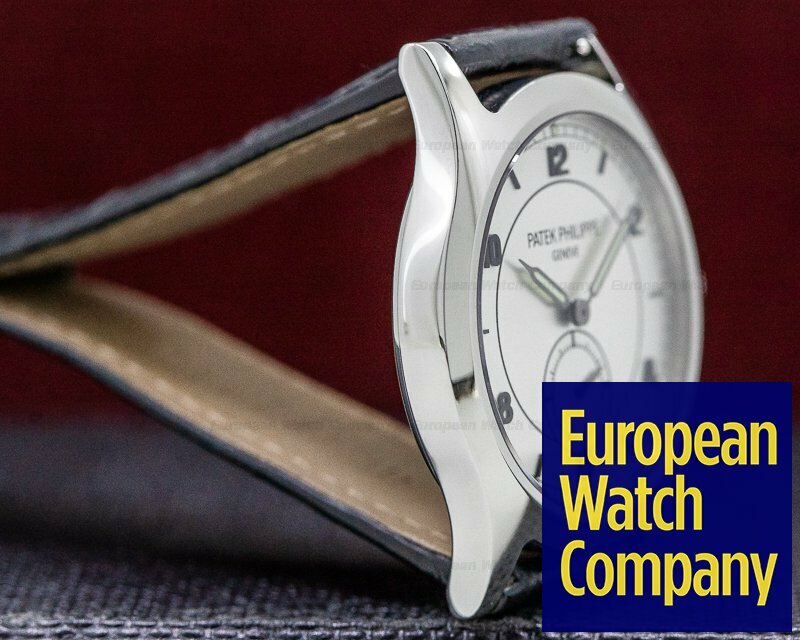 It has the patented Patek Philippe free-sprung Glucydur Gyromax balance that compensates for cold, heat, isochronism and 5 positions. 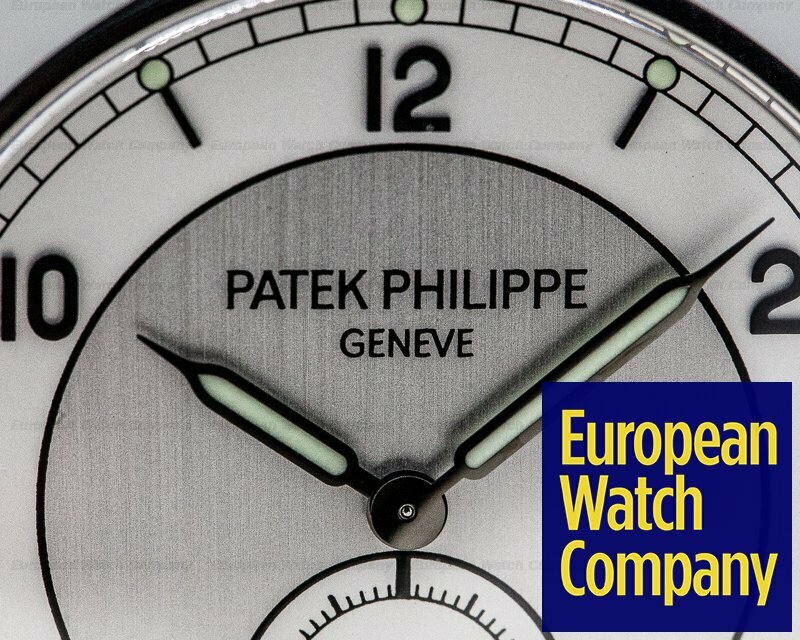 The Patek Philippe Calatrava Limited Edition 5565 was introduced in 2006 in a limited edition of 300 examples, to celebrate the grand re-opening of the Patek Philippe boutique in Geneva. 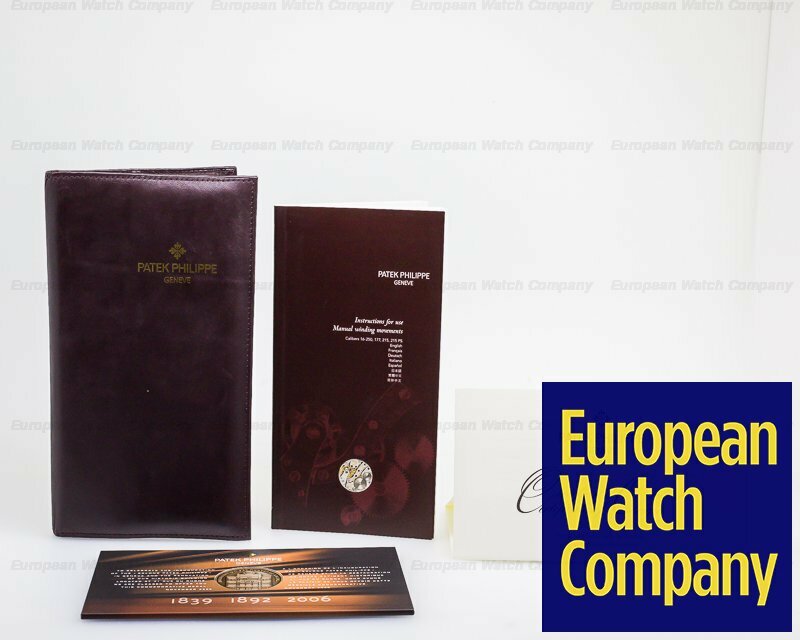 It's accompanied by a special, fitted mahogany presentation box, the certificate, and a commemorative medal.